Register / login to order. Welcome the digital future in your own four walls! How? With the devolo Magic 2 WiFi and its magical properties. It makes you ready for beyond tomorrow - today. Mesh Wi-Fi integrates all devolo Magic adapters and creates a seamless network magically - for wonderful connections to the Internet in any room, on the balcony and in the garden. The Wi-Fi ac standard ensures incredible peak speeds of up to 1200 Mbps and pure, digital freedom. And without buffering of course, since the high-performance Powerline technology can span extremely long distances of up to 500 metres. So streaming, gaming, home office or virtual reality are simply even more enjoyable with devolo Magic 2 WiFi! And static devices such as smart TVs or consoles can also be used, since they can be connected easily thanks to two Gigabit LAN connections. You can also keep a close eye on all devolo Magic adapters conveniently via the innovative devolo App. 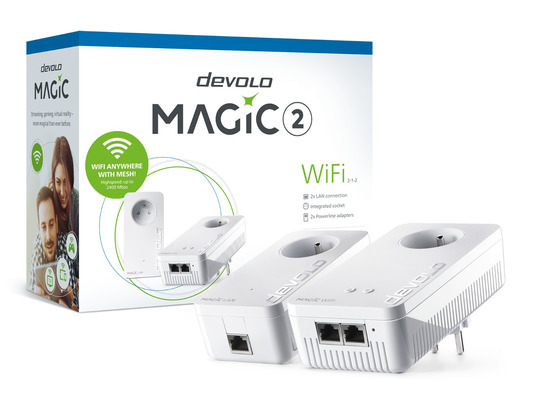 Thanks to super-smart Plug & Play, simply unpack, plug in and get going: non-stop magical and universal multimedia enjoyment, now and in the future - with devolo Magic 2 WiFi! 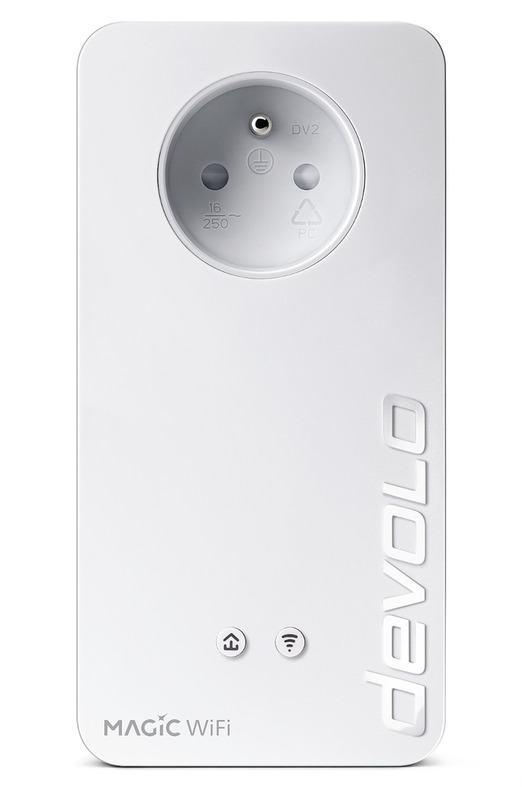 Invisible forces are at work: novel Mesh Wi-Fi and innovative Powerline technology links all devolo Magic adapters to an associated network and gets you seamlessly onto the Internet anywhere in the home, with the strongest connection. Exceeds your imagination: surf the net wirelessly at up to 2400 Mbps! Streaming, gaming, virtual reality - and all of them magically easier, faster and more reliable than ever before. All-in: connect your static devices such as smart TVs, consoles or PCs via two Gigabit LAN connections. We‘ve thought of everything: thanks to the integrated power socket, you won‘t lose out on any power connections. The perfect solution for long distances: easily covers large distances and always provides a strong connection, even over distances up to 500 metres. From the cellar to the attic and down to the garden - simply all through the house. Organises the setup: Simply plug into the power socket - and thanks to the smart Plug & Play, the adapters connect to each other in just a few seconds. Top-end technology from Germany: since 2002, devolo has been developing innovative products with passion for millions of happy, networked customers all over Europe. With more than 300 awards to its name. 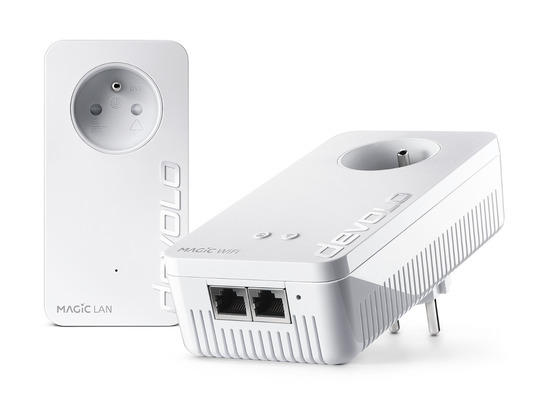 A real team worker: compatible with all routers, devolo Magic adapters and HomeGrid Forum-certified products. 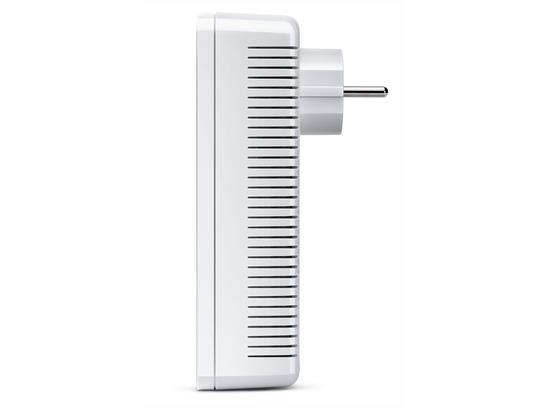 dLAN® Powerline adapters and other HomePlug AV products are not supported. Different technologies can be used in parallel in a single household. Prijzen exclusief BTW tenzij anders vermeld. Sorry, de chat is offline.